Charming Accessories for Outspoken Pups! We spoke with Caroline Denyer, Founder of ‘Growlees’ to find out about her business and the help that she has received from Retail Marketing Ready. 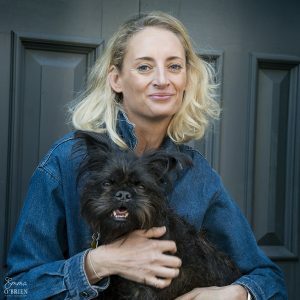 Its founder, Caroline is on a personal mission to help all dog owners connect with their pups! Made in England, the range is intended to help dogs and their owners express their unique and special personalities, as they can be worn by both dog and dog-parents alike. The range of over 80 tags, has also extended into t-shirts too, thanks to a collaboration with French illustrator, Walter Glassof. Trading for 2 years, the core range of dog tags came to market initially on the side of more mainstream dog accessories. It has now become the sole focus of the business in response to strong customer demand. Running a small business can be challenging, particularly in finding the time to focus on developing its potential whilst delivering on the day to day demands. Working with the Retail Marketing Ready team, Caroline was able to build on her marketing understanding and focus her time on the activities which would bring the fastest returns, together with developing a marketing plan to really help move the business forward. Her ongoing reliance on social media marketing was given a boost too with a significant increase in the following around the business thanks to more user generated content and targeted campaigns. Working with an experienced team and being able to access the support for free was a massive bonus! There are a host of exciting opportunities ahead for ’Growlees’ and Caroline has a real desire to keep growing her business. International opportunities also beckon following a deal with Bloomingdales in the US & Canada, together with increased wholesale distribution.